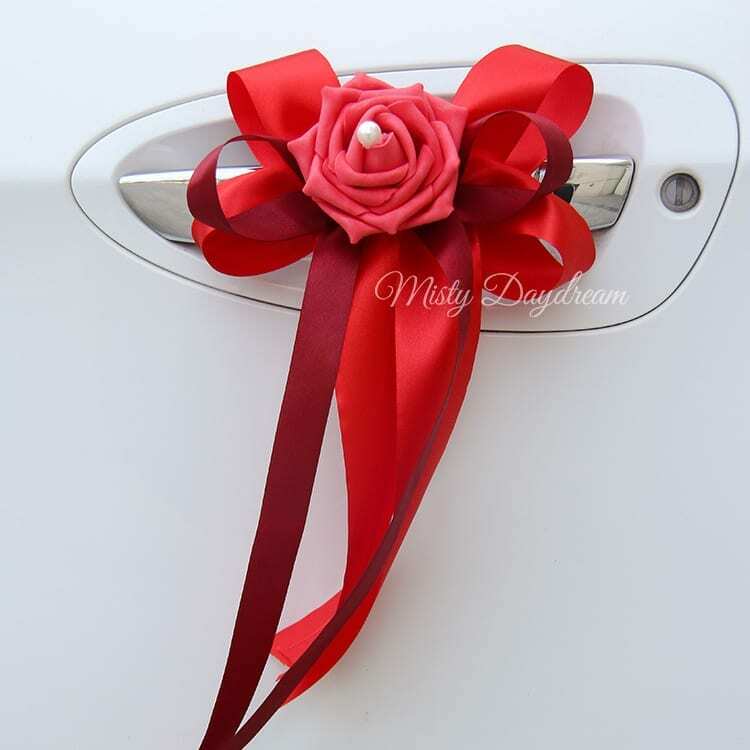 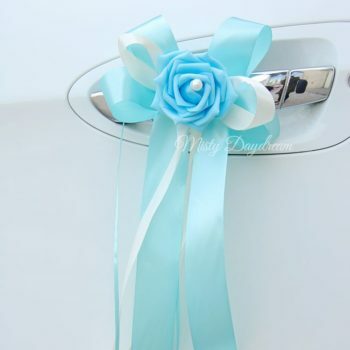 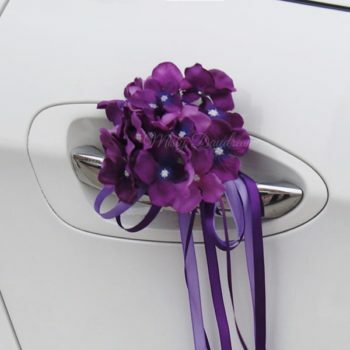 Usually use for wedding car in decoration on the door handle. 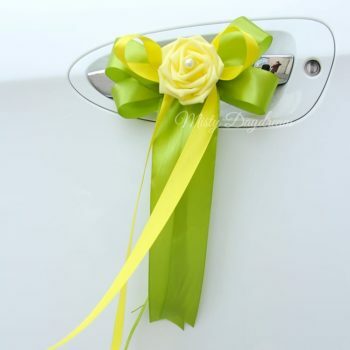 It can also be used for room decoration, wedding chair decoration, building body decoration etc. Ribbon string will be attached for you to tie to the car side door handle. 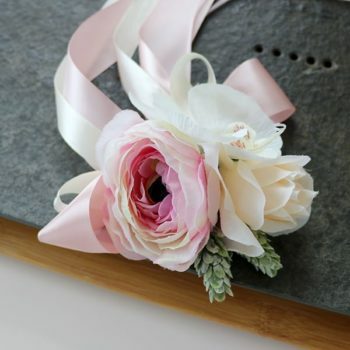 Roses is artificial and it is sold at per pieces.